Visiting London on holiday can be a lot of fun. It is one of the greatest cities in the world, and with a population approaching 9 million it is certainly one of the largest. It also has a history dating back to Roman times and has many sights that are hundreds of years old such as the Tower of London. Having said that, it is also one of the most modern and up to date cities in the world. London is at the forefront of everything and especially when it comes to the arts and to shopping. The city has plenty of red carpet nights for film and theatre, and as for the shopping it compares very well with any other capital anywhere. Apart from that there are museums galore, historic Royal Parks, London Zoo, art galleries, famous auction houses, world-famous jewellers, Madame Tussauds waxworks, and a whole lot more to see. Of course, one of the problems when coming to London is finding somewhere to stay. There are many hotels, but they can get very booked up, and you can spend a lot of time looking around. 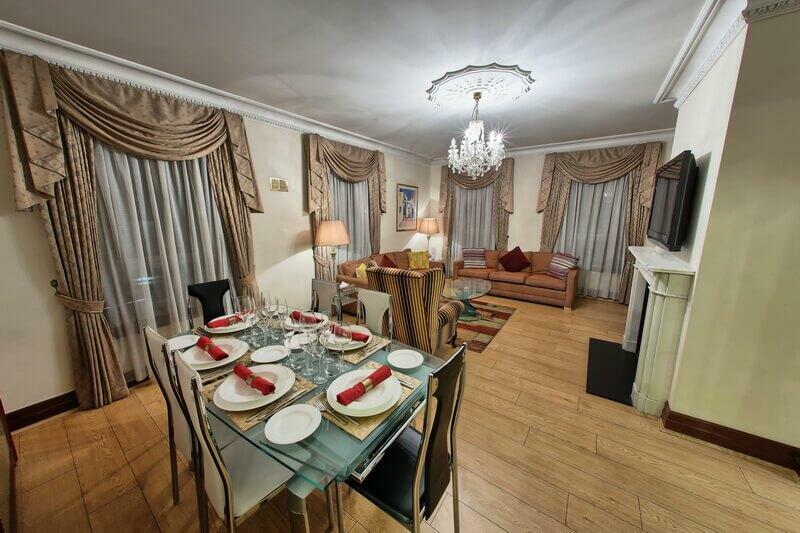 The other choice is to rent one of the Central London apartments such as those at Carlton Court. Yes, we are very popular too for a number of reasons, not the least of which is that our apartments can be half the price of booking hotel rooms. In addition, when you book one of our apartments in Mayfair you will find that you get so much more space than in a hotel bedroom. We have one-bedroom, two-bedroom, and three-bedroom apartments and each has a spacious reception room, and fully fitted kitchen as well, so instead of sitting in a hotel bedroom watching TV in the evening you can sit in a living room in the same way that you would at home. Not only that, when you have your own “home” away from home you have privacy that you cannot get in a hotel, and you can invite friends or other guests around for a meal or a few drinks. Altogether a much nicer way to spend your time in London.